BRAND NEW!!! 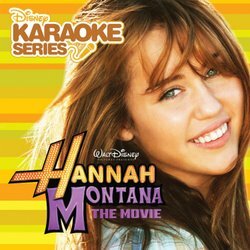 Now you can sing the songs of the hit Disney movie "Hannah Montana". Toping the pop charts all summer long with these amazing songs by the hit Disney movie "Hanna Montana". Now all your favorite songs are available with and without vocals and including a lyric booklet! Includes on screen graphics (CDG).